Since their cult emergence in 2012 London Grammar have defined a captivating musical style delivers raw emotional power framed by subtle, ambient and etherial electronic pop. Their “defining and soulful” sound (Crack Magazine) has captivated audiences across the world with pin-drop attention to their live shows and earned them a reputation as masters of wielding intense emotion with atmospheric arrangements. Now, four years since their first major release, the trio return with their 2017 release ‘ Truth Is A Beautiful Thing’ that has already been described as “the perfect soundtrack to 2017” (The Guardian). English trio London Grammar formed in dorms of Nottingham University in 2009 with singer Hannah Reid and guitarist Dan Rothman. The addition of multi-instrumentalist Dot Major completed the lineup and allowed the band to develop their sound with atmospheric electronics and subtle percussion to create music that combined sparse electronic pop with powerful brooding vocals. The band developed a digital cult following with the release of their single ‘Hey Now’ (2012) on YouTube which captured the hearts and ears of fans as far afield as Australia as well as much closer to home. With a growing online audience London Grammar self-released their debut EP ‘Metal & Dust’ (2013) which rose to the top of digital charts and later their debut album ‘If You Wait’ (2013) where their subtle arrangements were celebrated as being “beautifully sketched to evoke the crepuscular intimacies of the songs” (The Independent). @petergreen31 @londongrammar @Colston_Hall Have still got the tickets to London Grammar?if so may I buy them? 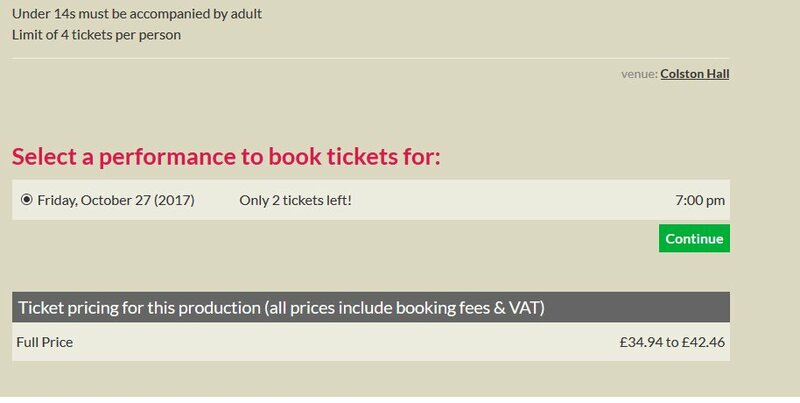 Within 1 hour of going on sale at £35 @londongrammar @Colston_Hall tickets sold out @Ents24 and being touted for £100+ at @GETMEIN - grumpy! I wanted to see you guys @londongrammar. @Colston_Hall website really bad!! Loads of error messages, now shows availability but not true. @londongrammar tickets sold out for Bristol in less than 1 minute- how? @Colston_Hall website constantly crashing hasn't helped! @Colston_Hall Have 2 tickets in my basket for London Grammar - can't get to payment page! Why have shows all on sale at same time! @seetickets @londongrammar tickets for colston hall Bristol literally can't have sold out in all areas in 1 minute that's not right?! @Colston_Hall we have just paid £33 to be members but cannot buy London Grammar tickets/ Can you help? @Colston_Hall @londongrammar Are you expecting the website to go crazy like it did for Paramore? 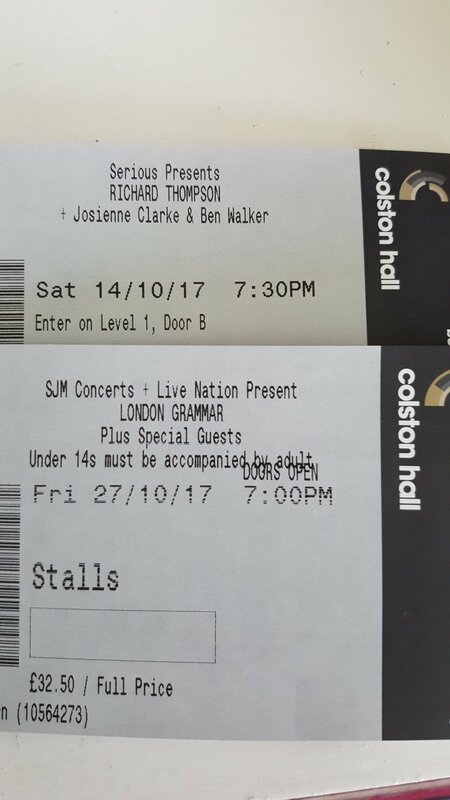 Got my London Grammar tickets to see them at Bristol Colston Hall in October. Can't wait!